Contest: The first person to correctly identify all the people in the photo below will win a $25 gift certificate to the Beach Tavern in town. Rule: Those in the picture, their spouses and siblings are welcome to make guesses but are not eligible to win the free dinner. It took under two hours for Ed Marsh to correctly name all the guys in the photo below. Although he’s in the picture, I’m still giving him the gift certificate. It’s because I respect Eddy as man and as a leader. He’s always been a solid guy and was the borough’s fire chief when I first joined the company in 1982. The photo below is the 1974 MB Fire Company softball team. Under player-manager Paul Kleiberg the team was a real powerhouse, I’m told by fans, winning the firemen’s league championship that season. The image had over 200 views — thanks for looking. Back row, from left: Sidney Johnson, Jr., Paul Kleiberg, Bill Barham, Burt Barham, Joe Bogner and Peter West. Front center: John Schulz, Jr. (bat boy). 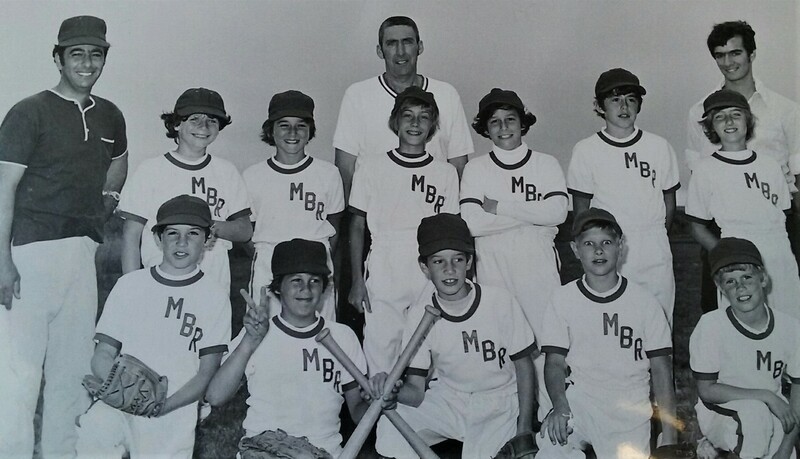 Members of the 1964 Monmouth Beach Falcons which played in the Tri-City Little League. The coach was Harold Topp. 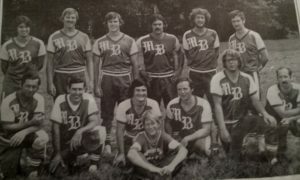 Back row: Phil Hinck, Coach Harold Topp, Matt Sheprow, Mark Sheprow, Bob Jones, Jim McConville, Timmy Raymond, Fred Gangemi and Gary Topp. 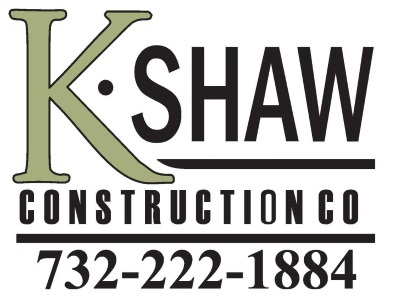 Fromt row: Fred Hanselman, Dave Timmy, Mickey Waldrop, Hilda Hanselman, Pat McConville, Greg Leary and Preston Hansen.